Ahead of this autumn's eagerly awaited Need for Speed Most Wanted release date, publisher EA has revealed a selection of pre-order Limited Edition offering that will see a selection of in-game exclusives made available to those who splash out on the driving sim early. Available to those pre-ordering the upcoming addition to the longstanding NFS franchise from a selection of retailers, advanced orders will see gamers receive the Need for Speed Most Wanted Limited Edition release with a host of added extras. Bringing additional cars in to the mix, Most Wanted Limited Edition owners will see a 2012 Porsche 911 Carerra S with optimised aerodynamics and nitrous burn line up alongside the Maserati GranTurismo MC Stradale as in-game exclusives. On top of this, Ltd Ed owners will receiver four hours of Double Speed Points allowing them to increase the speed point two fold during their first four hours of online, multiplayer gaming. 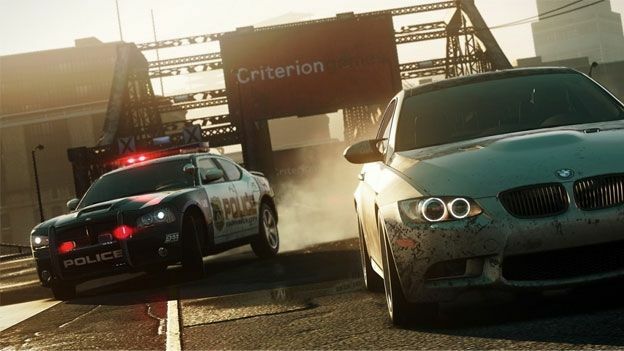 "In Need for Speed Most Wanted, everything players do earn them Speed Points which are used to compete to be the Most Wanted amongst their friends,” said Matt Webster, executive producer at Criterion, the company developing the latest NFS offering. He added: "Fans with the Limited Edition or pre-order packs will have additional cars to choose from on day one - cars that fit how they like to compete in multiplayer, whether it's going for the highest top speed, farthest jump, or the fastest race time." Are you excited about the upcoming Need for Speed Most Wanted release? Will you be pre-ordering the title to get your hands on the Limited Edition copy and the goodies it contains? Let us know via the T3 Twitter and Facebook feeds.